My friend—let’s call him “Andrew” because I’ve never called him Andy or Drew—recently underwent a Major Life Event. In a two-paragraph email, he told me about the Major Life Event in three sentences. He devoted the rest of the message to baseball. By the end, he had invited me to St. Louis to catch a Cardinals game. Best Rain Tarp in Baseball. I knew precisely one non-baseball thing about St. Louis before arriving: it has an arch commemorating the starting point of The Oregon Trail computer game. Even so, I was fully prepared to hate the city. It’s a matter of loyalty. I root for the baseball team on the other side of Missouri, a team far superior to the Cardinals no matter what the standings have read for the last twenty nine years. Furthermore, the Cardinals have the so-called “Best Fans in Baseball.” This BFIB claim puzzles me, because it has not been subjected to the scientific method, which I know all about from the tri-fold poster boards I whipped together in elementary school—that is, when I wasn’t shooting more bison on the Apple IIe than I could carry back to the Conestoga wagon. Empirically speaking, a fanbase cannot bear Best Fans in Baseball status when, every single game, they leave so few seats for the other team’s fans. And what makes them the best—tolerating one of the most efficient organizations in professional sports? Enduring an unsightly eleven World Series championships? Beats me. But my gut tells me you need more than the Best Front Office in Baseball and the Best Team in Baseball to be a Best Fan in Baseball. 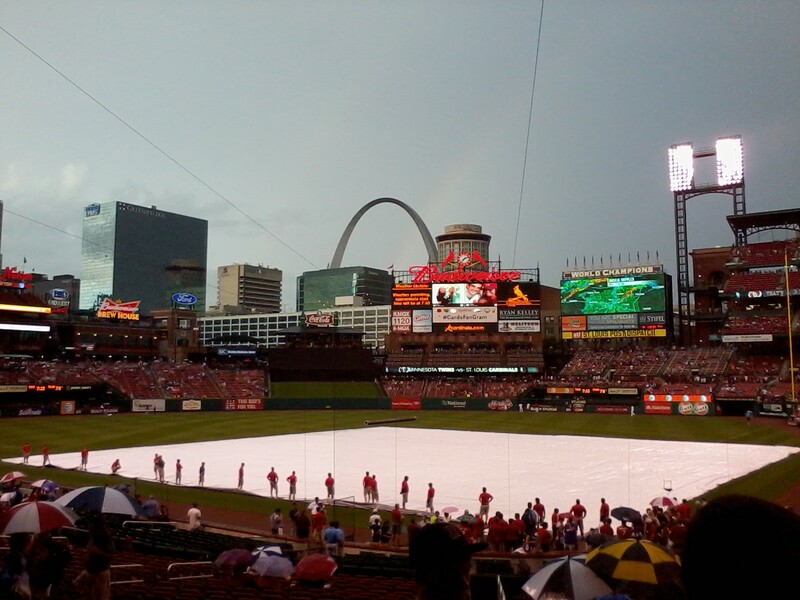 No wonder I felt I needed to trash-talk all forty thousand fans at the Cardinals game Andrew and I went to. But the Best Fans in Baseball were way too nice to bash. They didn’t even make a single negative remark about the Best Hacker in Baseball, the unidentified Cardinals employee who kindly notified the Houston Astros front office that their passwords were out of date. Drunk on wonderment, I set out to chronicle the other superlatives St. Louis has to offer. Before the game even started, I enjoyed the Best Walk in Baseball. This is the five-minute stroll from Andrew’s apartment to the baseball stadium, during which we drank beer without the aid of a brown paper bag. Apparently this is legal in St. Louis, which means they have the Best Laws in Baseball. After the game, I was exhausted. So we had another beer. Then Andrew put me up on the Best Couch in Baseball. Despite the oppressive mugginess steaming off the Mississippi River, I had what you might call a pretty good sleep. For the next two days, I gnoshed my way through St. Louis. 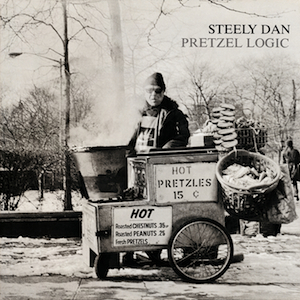 I ate the Best Frozen Custard with Hot Fudge on a Brownie in Baseball, the Best Deep Dish Pizza Recognized by the President of the United States in Baseball, some burritos, and the Best Pretzels Made by the Family of the Guy on the Steely Dan Album Cover in Baseball. I also ate—note that this is “the number one barbecue in St. Louis”—the Best Memphis-Style Barbecue in Baseball. Through this adventure, did Andrew and I engage in tenderhearted analysis of his Major Life Event? Of course not. We didn’t need to. We are dudes, and we were duding pretty dudely things, like a cigar and whiskey bar. The tender offered us the Best Cigars in Baseball, but we did not have enough connoisseurship in our wallets to appreciate them. So we kicked back in leather chairs, puffed the Best Cigars Our Remaining Budget Could Buy in Baseball, and further outduded ourselves by chatting up (in a dudely way) the Best Totally Not Addicted Basketball Gambler in Basketball. I asked the BTNABGIB why, in this town, he was not wagering on baseball. Especially considering that the home record of the Cards at the time was, judging by the enthusiasm of the BFIB, approximately 40-2. He perked up at that tidbit and texted someone right away. I’m pretty sure he reinvested his basketball winnings on the surest game in town. For all that St. Louis had provided me, it felt good to give back so constructively to another person’s life. Besides Andrew’s, I mean. Thanks to my gastrointestinal spirit and dudely rehabilitation, his Major Life Event will end up being one of the Best Things to Happen to Him in Baseball. And St. Louis turned out to be a pretty rad place after all. Except for the Cardinals. They stink. Could there be a more dudely affinity than baseball, beer or pretzels? Yep! It’s that empathy and enjoyment your friendship illustrates. I’m feeling the love. Thank you for sharing the story.